There are several things and facts that are unique to Hawaii. Aside from its rich culture, history, and natural beauty, there are more to Hawaii that makes it such an interesting and impressive place. Here, are some of those facts that are uniquely Hawaii. Hawaii was first made known to the rest of the world when James Cook discovered the islands in 1778. But the great thing is that there are lots more to discover about Hawaii. There are several noteworthy facts about the islands of Hawaii. One is that the Hawaiian archipelago is considered to have the world's longest island chain, with a length of 1,524 miles. Another fact about the state is that when measured from the eastern side to the western side, it claims the title of being the widest American state. Of course, the measurement is not just on landmass but on state borders as well. Also, due to volcanic activity, Hawaii is also the only US state that is constantly getting bigger. As lava is constantly flowing from Hawaii's volcanoes, new land is being formed. Also, Hawaii is known for its extreme geographic isolation. It is 2,390 miles from California, 5,280 miles from the Philippines, 4,900 miles from China, and 3,850 miles from Japan. So, when you talk about secluded, Hawaii has a good claim to it. Makes you want to thank the heavens for the invention of air travel, right? Hawaii is also a place that holds certain records. You can find the highest mountains and other geological formations, a lot of firsts, and other interesting facts in this state. Of course, Hawaii is famous for its beaches. But this fame is not just local or domestic. Hawaii's beaches are known for their beauty worldwide. And the number is impressive: over 100 beaches from Hawaii made the list of the top beaches in the world. 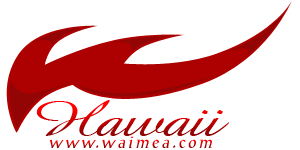 Some of those beaches are Waikoloa Beach, Lumaha'i Beach, Po'ipu Beach, and Salt Pond Beach Park. With lots of white sands, clear waters, and a great view of the Pacific, it's no wonder why Hawaii beaches are considered some of the best in the world. For its land formations, Hawaii holds several records. One, the highest mountain in the world, when measured from the ocean floor to its top-most part, is found in Hawaii. Mauna Kea has a height of 33,476 feet when you include its base on the ocean floor. Another interesting fact is that Mauna Kea brings snow to the tropics. One can see snow atop of the Mauna Kea; so who said you can't have your beach and your snow too? Another fact about Hawaii is that it's the home of one of the world's most active volcanoes, Kilauea. In modern times, it has started erupting in 1983, and it's still going on. But its eruptions are not like the violent ones that you see in movies. Its eruption is gentler and its eruption just consists of lava flowing from its crater. Due to the volcano's continuing eruption and lava flow, new land is being created for Hawaii. Since it's still active with non-violent eruptions, it provides a wealth of resources for geologists and volcanologists. Aside from that, it also presents people a first-hand encounter with a live, active volcano. And since we're on the topic of land formations, one of the world's largest in terms of area coverage, Mauna Loa, is found in Hawaii. It is also a shield volcano, and this is the reason for its wide coverage area. It has an estimated volume of 18,000 cubic miles, making it one of the massive volcanoes and land formations in the world. Its last recorded eruption was in 1984. Another tallest record that Hawaii holds is for the tallest sea cliffs in the world. They are found in Kalaupapa, and the heights can reach up to 1,010 meters. Just a bit of trivia about Kalaupapa: it was once a leper settlement. Also, one of the largest electric windmill generators in the world is found in Hawaii's Oahu. Its blades reached the length of about 400 feet from tip to tip. As for the firsts, Hawaii has several of them. Of course, the most recent and historical is Barack Obama, the 44th president of the United States, and the first African-American US President. Obama was born in Honolulu, Hawaii, and won the presidential race in a decisive victory against John McCain. Another name in the lists of first from Hawaii is Hiram Fong, claiming the title of being the first Asian-American to be voted to the US Senate. He served the senate from 1959 to 1977. Aside from that, he is also noted to be Hawaii's only Republican senator, and the only politician with Asian-American lineage to seek from the Republican Party the Presidential Nomination. Surfing is also among the firsts of Hawaii. Records show that the first discoverers of Hawaii noted that the locals rode the waves on wooden boards. In modern times, it is Duke Paoa Kahinu Mokoe Hulikohola Kahanamoku who is recognized as the father of modern surfing, being such an influential figure in making the sport popular. Another first is in the world of sumo wrestling. Akebono Taro, whose birth name is Chad Haaheo Rowan, is the first foreign sumo wrestler given the title of Yokozuna, pretty much the highest rank in sumo wrestling. His success in the sumo ring also help popularized the sport in the US. There are also things that only Hawaii has that can't be found in the other 49 US states. The archipelago of Hawaii is the only state in the US that produces coffee and vanilla. Coffee is grown in a total land area of 6,200 acres. Known coffee variety from the state is Kona coffee. And since vanilla is made from orchids, Hawaii's rainforests and tropical climate makes it a good breeding ground for orchids. Continuing the trend in agriculture, Hawaii also produces over one-third of the world's pineapples, and the state is one of the largest producers of macadamia nuts globally. As a bit of history, the pineapple boom was started by James Dole, earning him the title "Pineapple King." Macadamia nuts are not native to Hawaii, as these nuts were only commercially produced in the early 20th century in the island. But even so, Hawaii is where you can find one of the first modern macadamia plantations in the world. Also, Hawaii is where the United State's only residential establishment for royalty is found — the Iolani Palace. Visitors can visit the Iolani Palace at Honolulu's Capitol District in the island of Oahu. Erected in 1882, it served as the residence of the last lines of the Hawaiian Royalty. Though it faced neglect after the overthrow of the Kingdom, it's now considered as a National Historic Landmark and has undergone restoration. Another interesting fact about the Iolani Palace is that it preceded the White House in having electric lights by four years. Also, Iolani Palace is just minutes away from Foster Botanical Garden, which is the oldest man-made garden in Hawaii. This garden was built in 1855. When it comes to time zones, Hawaii is on a class on its own. The Hawaiian Time Zone is two hours and five hours behind the Pacific and Eastern Standard Time Zones, respectively. It also does not have daylight savings time (Why should it? It's always sunny in Hawaii). As for Hawaii's demographics, it does not have a dominance in white population unlike other US states. Actually, no race or culture can claim dominance over the state. Caucasians are at 34%, Japanese-Americans at 32%, Chinese-Americans at 5%, and Filipino-Americans at 16%. And even these figures don't say the whole story as the inter-racial marriages make the local population a good mix of all of these races. Another interesting fact is that the native language of Hawaii has one of the shortest alphabets in the world, consisting only of 12 letters, which is just one letter more than the shortest in the world, which is used in the Solomon Islands. The Hawaiian alphabet consists of the vowels A,E,I,O,U, and the consonants H,K,L,M,N,P, and W.
Another fact about Hawaii is that it is considered to be the Endangered Species Capital of the World. There are about 100 plants and animals species that reside on the islands of Hawaii that are on the endangered species list. But not to worry, as Hawaii is also taking steps towards the conservation, protection, and preservation of these species. And there you have it. Hawaii is an interesting place, not just for its beaches, but also for its landscape, wildlife, and the unique things that can only be found in Hawaii. Hopefully, these facts can help you appreciate more the uniqueness and rich history of the state of Hawaii.